Akash Choudhary, Rubaru Mr. India 2016. Actor, model, reality TV celebrity and Rubaru Mr. India 2016, Akash Choudhary is all set to mentor the aspiring candidates for this year’s (2019) Rubaru Mr. India pageant to take place on April 30, 2019 at Sea Princess hotel in Mumbai, Maharashtra. He will return as the ramp walk and runway trainer for the sixteenth edition of the Rubaru Mr India pageant..
Akash will return as the ramp walk and runway trainer for this year’s Rubaru Mr India pageant. 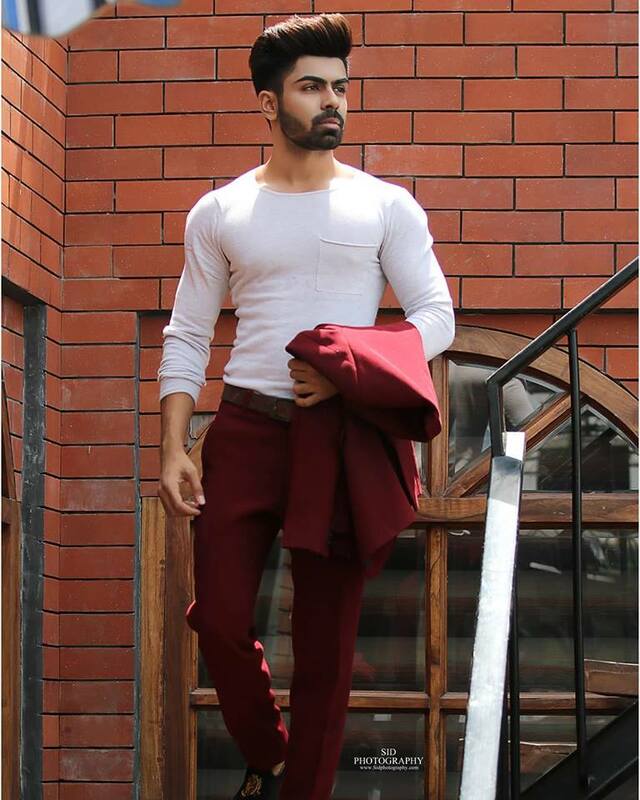 Akash, who has also served as mentor in previous edition of Rubaru Mr India pageant as well, said in a statement, “I am very excited to be back with the new season of Rubaru Mr India 2019, which has a whole new look this year. I am excited to be part of this journey because it’s the journey that I covered 3 years ago. The role may have changed however the happiness and the zest is still the same”. The New Delhi based gentleman won Rubaru Mr India pageant in the year 2016 in Gurugram. Ever since his victory in the year 2016 there was no looking back for him. He has attended several national as well international fashion events and was a part of Indian reality TV series, Splitsvilla. He has hosted a series of international pageants and has judged various beauty pageants in India. Akash won Rubaru Mr India pageant in 2016. This year, the pageant will commence on April 27, 2019 with a visit to the Siddhivinayak temple in Dadar to seek the blessings of the Lord Ganesha. During the pageant, the candidates will stay at Suba International hotel that is also the hospitality part for Rubaru Mr. India 2019. Most of the pre-finale activities will take place at this hotel. The sports competition and health and fitness round of the pageant will take place at Water Kingdom – Asia’s Largest Theme Water Park owned by EsselWorld Leisure Pvt. Ltd. It is also the associate sponsor for the event. The candidates will also take part in social activities at an NGO as well.The entire event will be covered by one of the leading media houses of India, The Neutral View. That is also the media partner for the pageant. Ever since his victory in the year 2016 there was no looking back for him. He has attended several national as well international fashion events and was a part of Indian reality TV series, Splitsvilla. He has hosted a series of international pageants and has judged various beauty pageants in India. This year’s event is going to even bigger and better than the previous ones as mentioned by the vice-president of Rubaru Group, Pankaj Kharbanda. Rubaru Group has joined hands with some of the biggest and most well-known brands and experts in the fashion and showbiz industry for the upcoming Mr. India pageant. The event will be co-powered by the brand Rohit Verma owned by famous fashion designer, reality TV celebrity and fashion guru, Rohit Verma. Award winning Indian photographer, director, scriptwriter and actor, Amit Khanna will be the official photographer for the pageant. The 40 candidates will be seen walking down the runway wearing exquisite creations by ace fashion designer, Seema Mehta, the founder and owner of the label Seema Mehta – Label of luxury. The brand Horra is gift partner for the event and fashion expert, Parimal Mehta, the founder and owner of the Parimal Modelling Academy is the grooming partner of this year’s Mr India pageant. Celebrity fashion choreographer, Lubna Adam is going to be the show director for the event. Mister India 2018 titleholders with actor, model, reality TV celebrity and Mister India 2016, Akash Choudhary. Rubaru Mr. India is the oldest surviving annual male pageant in India. The pageant is regarded as one of the most successful male pageants in world. Since the pageant’s inception in the year 2004, it has sent India’s representatives to more than 15 different international modelling competitions. 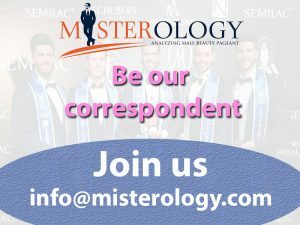 Rubaru Mr. India pageant holds the record of being associated to the maximum number of international pageants and modelling organizations in India. It was created by Rubaru Group in the year 2004 in the North Indian state of Haryana. Rubaru Group is a pageant organization and NGO based in Haryana. It was established by Indian painter and entrepreneur, Sandeep Kumar in the year 2004 and Pankaj Kharbanda is the vice-president of the organization. The organization, Rubaru Group is one of the most well-established pageant organizations in Asia. It is the producer of five (5) beauty pageants and modelling competitions that include Rubaru Mister India, Rubaru Miss India Elite, Rubaru Mr & Miss Junior India, Miss Supermodel Worldwide and Mister Model Worldwide. Next article Mister Venezuela 2019 is Jorge Eduardo Núñez Martinez.